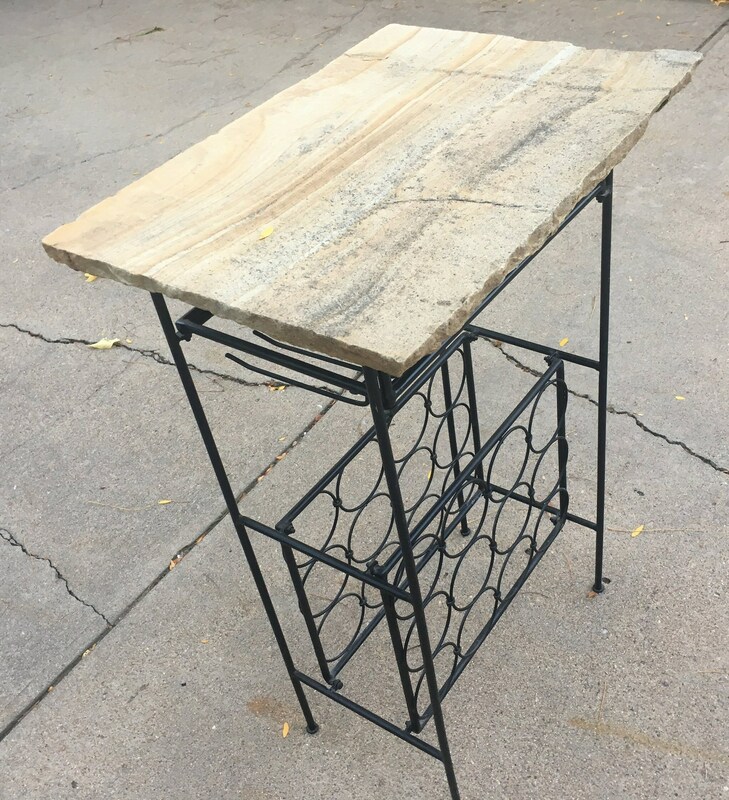 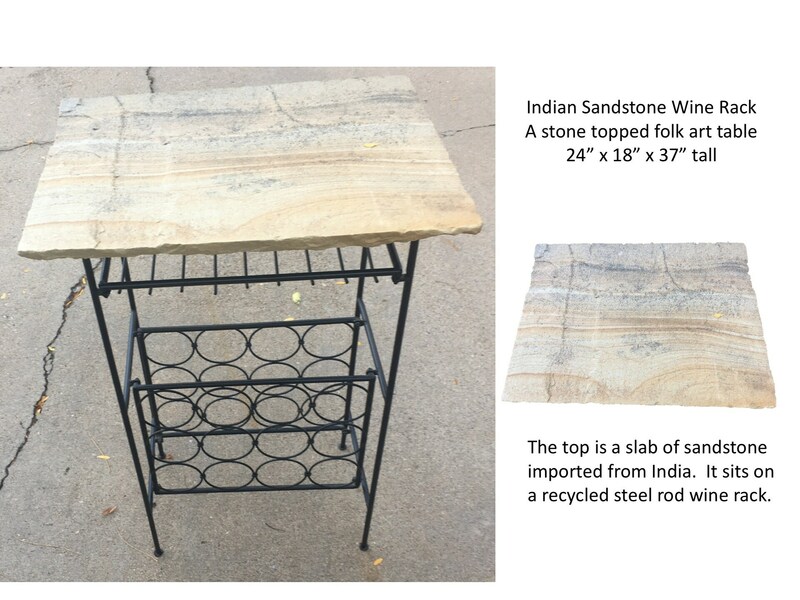 Indian Sandstone Wine Rack: A folk art wine rack featuring an 18x24 slab of indian sandstone sitting on a recycled steel rod wine rack. 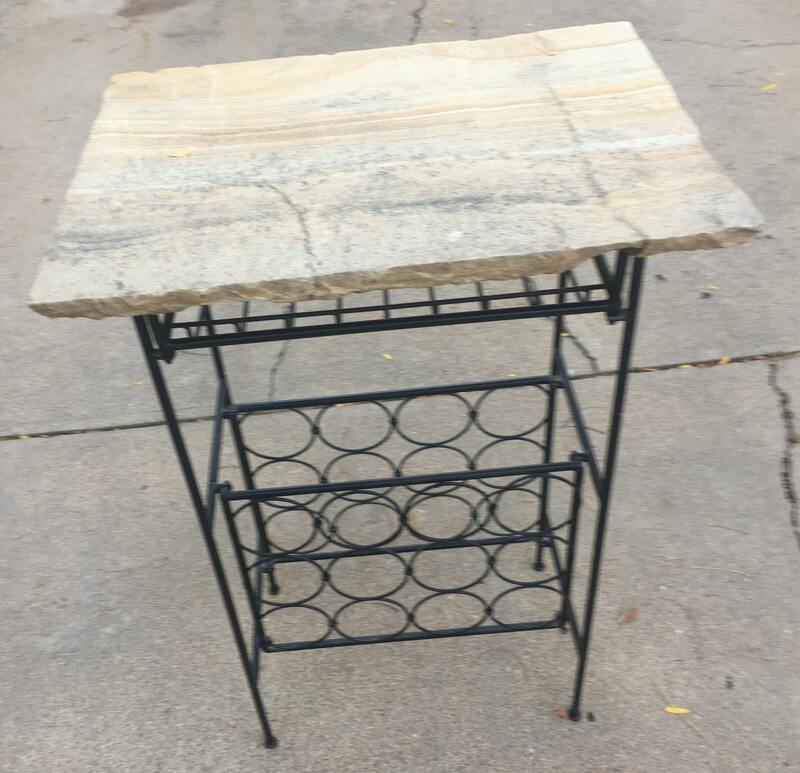 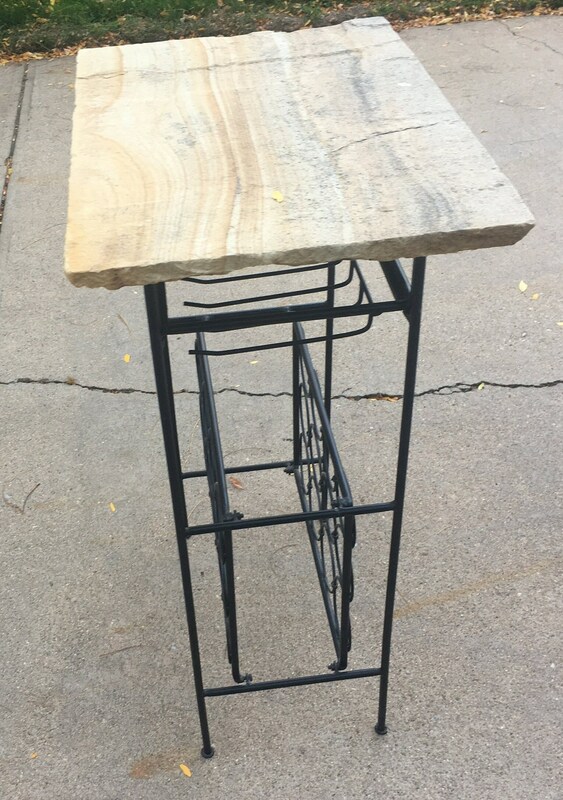 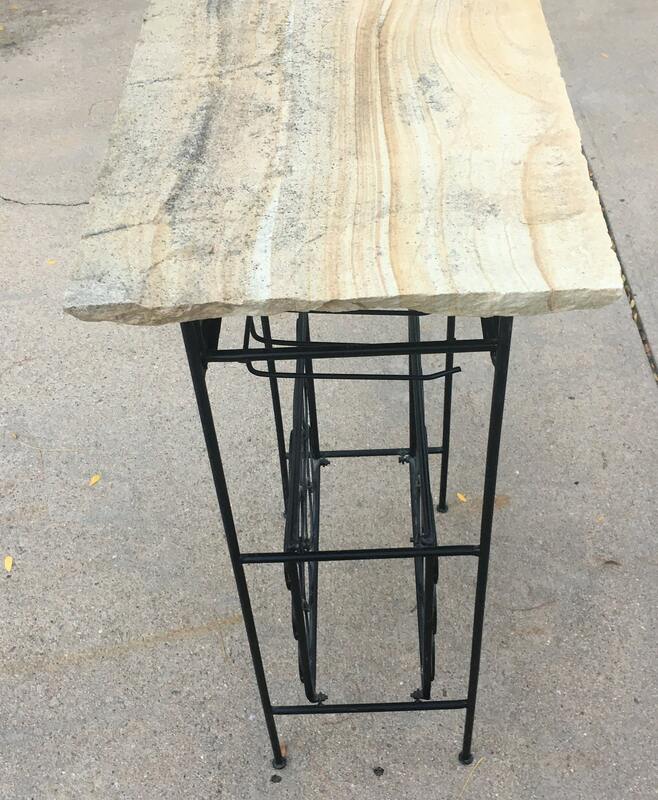 Indian Sandstone Wine Rack: A folk art wine rack featuring an 18x24" slab of indian sandstone sitting on a recycled steel rod wine rack. 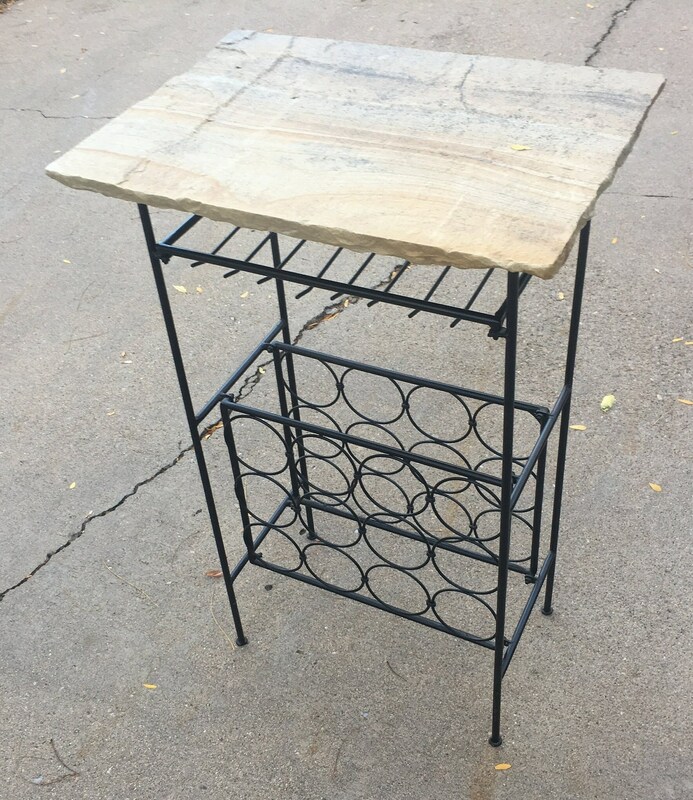 You could use this as a small sofa table, or entry way table that features empties!